You know those pretzels at the mall that are hot, soft, and buttery and their scent wafts through the entire mall. As you’re in a dressing room trying to squeeze into some jeans that are a size too small, the luscious scent of the pretzels hits you and your New Year’s resolutions are out the window. Yes, these are those. They’re one of the bucket list recipes I’ve had on my mental to-make list for ages. 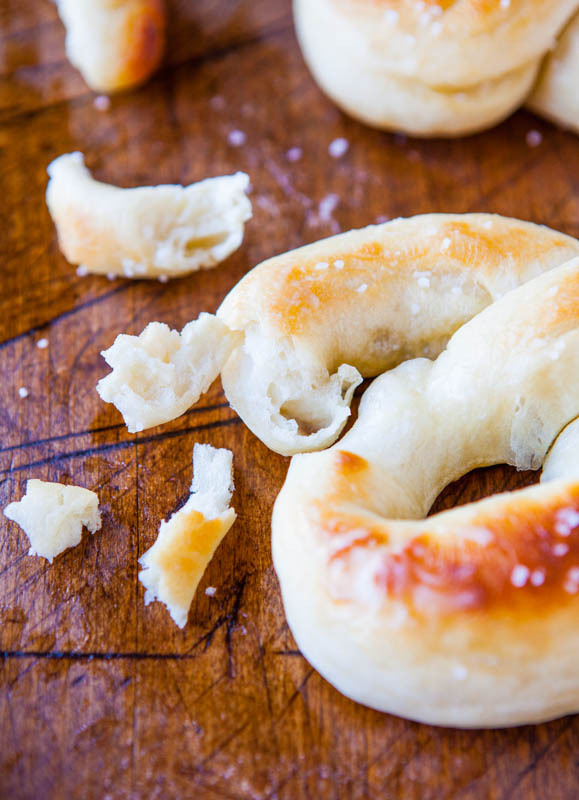 One reason it took me so long to finally make them is because there are so many recipes, methods, and choice for homemade pretzels that I was swimming in choices overload. One important consideration is that I wanted a recipe that’s do-able for anyone, with very little time investment. You can make these from start to finish in one hour. If you’re using a stand mixer, it’s five effortless minutes as the machine kneads the dough before it rises for a half hour. Then it’s shaped and baked. And if you’re hand-kneading, think of it as calories burned in advance of all that glorious buttery white dough you’ll feast on. Bringing 10 cups of water to a boil when I’m in a hurry on a busy weeknight when I just want something warm to serve with dinner, and having to dunk them one-by-one for 90 seconds each, is too fussy for me. The water and baking soda bath prior to baking gives pretzels that brown, crusty exterior but I successfully skipped it and deferred to a couple minutes under the broiler. My other issue with the recipe is that is uses an egg wash before baking and I have nothing against eggs, but I kept these buttery twists vegan. Brushing them with melted vegan butter or margarine instead of real butter works just fine. There’s no egg, milk, or butter in the dough, and since I’d come that far without an egg, why slap on an eggwash at the end. Plus, sometimes eggwashes make things taste too eggy for me, so it was a win to omit it. The other important consideration was keeping the batch size modest. They’re best eaten warm and fresh from the oven and unless you have a large family or a raging metabolism, I don’t want or need a dozen. This recipe makes six. For the dough itself, I used the King Aurthur recipe because their ratios are solid and trustworthy, but I deviated heavily from their methods and instructions. 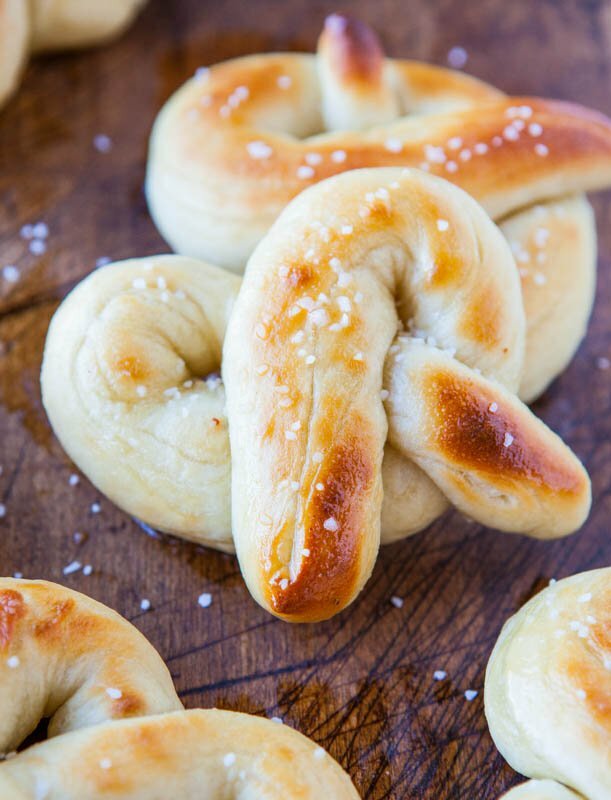 To make the pretzels, place bread flour, instant dry yeast, one teaspoon sugar, one-half teaspoon salt in a large mixing bowl and pour one cup warm water over the top. I did this in my stand mixer. 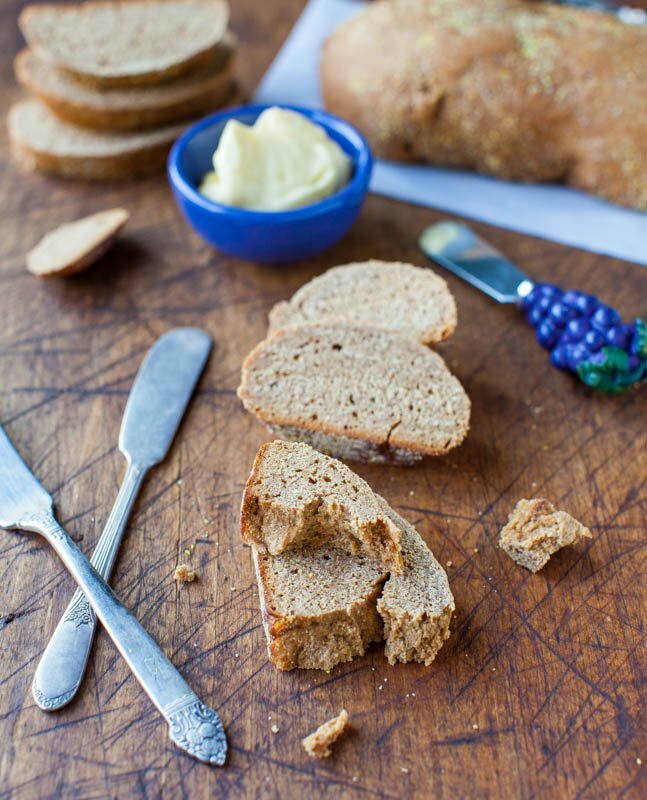 I used bread flour rather than all-purpose because it produces chewier bread and I love a good jaw workout. 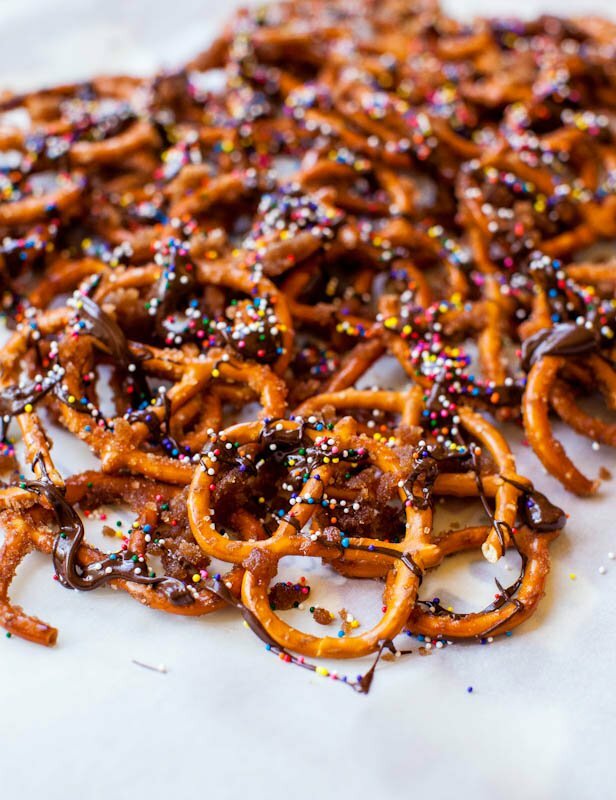 Pretzels made with all-purpose will still be chewy, just not quite as much. Also, they may rise slightly less, because bread flour is the absolute champion in the rising and puffing department. Substituting with up to half the amount of whole wheat flour is possible, but know in doing so that your pretzels will not be nearly as fluffy and puffy, and will be much more dense, since whole wheat flour has that effect. Depending on the kind of yeast used, water temperatures will vary. I used Red Star Platinum yeast because I always have excellent results with it, and it necessitates a slightly warmer water temperature, about 120 to 130F. If using other brands, follow the manufacturer’s recommendations, but 10o to 110F is typical. I know some people just dip their finger into water and if that’s the method you’re using, err on the side of warm bath water rather than hot because you don’t want to risk killing the yeast. In bread-making, I don’t like to guess and always use my candy thermometer. I just never use it for candy. Make sure to select instant dry yeast rather than active dry yeast. 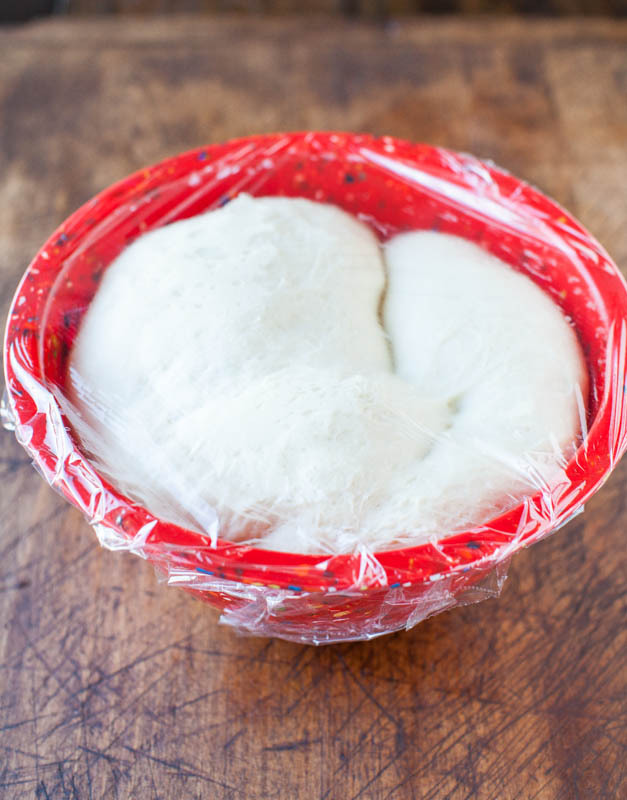 Instant yeast, among other things, helps dough rise in a hurry and because this dough has only one 30-minute rise, you need to make it count. Adding one teaspoon of sugar is non-negotiable because it feeds the yeast. I used a scant quarter teaspoon of salt in the dough. I don’t like salting dough because it can inhibit rising, and also I am mindful with how much salt I use in cooking. You can sprinkle salt on after baking as generously as desired anyway. After adding the dry ingredients to the mixing bowl and pouring the water over the top, beat on medium-low speed with the paddle attachment for about one minute, or until just combined. 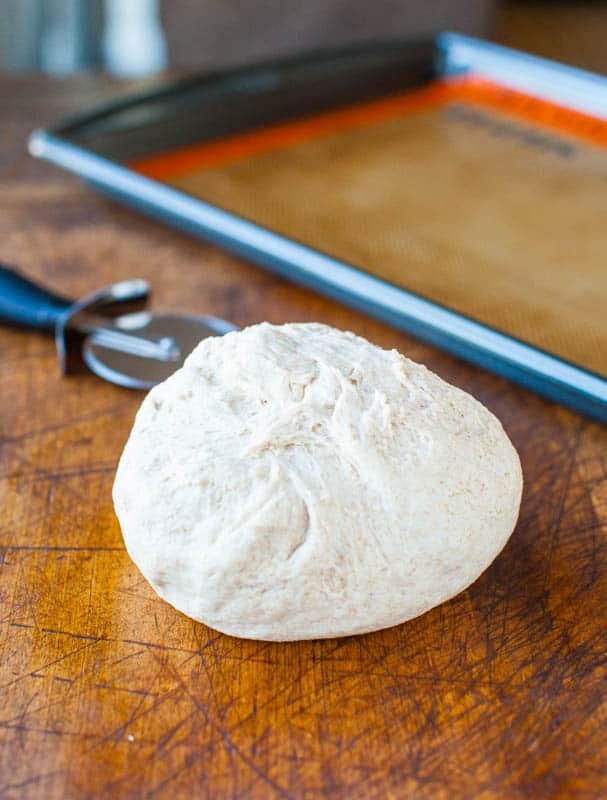 Switch to the dough hook and knead for five minutes. If doing this by hand, flour your work surface and have fun. After five minutes, remove the dough from the bowl, and either spray down that mixing bowl or another bowl with cooking spray, and place the dough into it. Cover with a piece of plasticwrap and place it in a warm, draft-free place to rise for 30 minutes. I’ve let my dough rise for as long as 75 to 90 minutes due to distractions, poor planning, and timing issues, and nothing bad happens. Actually, the pretzels turn out fluffier. If you want to allow it to rise for up to about 90 minutes, or doubled in size, go for it. But the recipe does and will work with just a 30 minute rise. After 30 minutes (or longer) punch down the dough and remove it from the bowl. Below in the red bowl is what mine looked like after thirty minutes. It rose so well it almost blew off the plasticwrap. There is nothing more glorious than punching down a big doughy puffball and hearing the air escape, knowing that the yeast worked and things went according to plan. 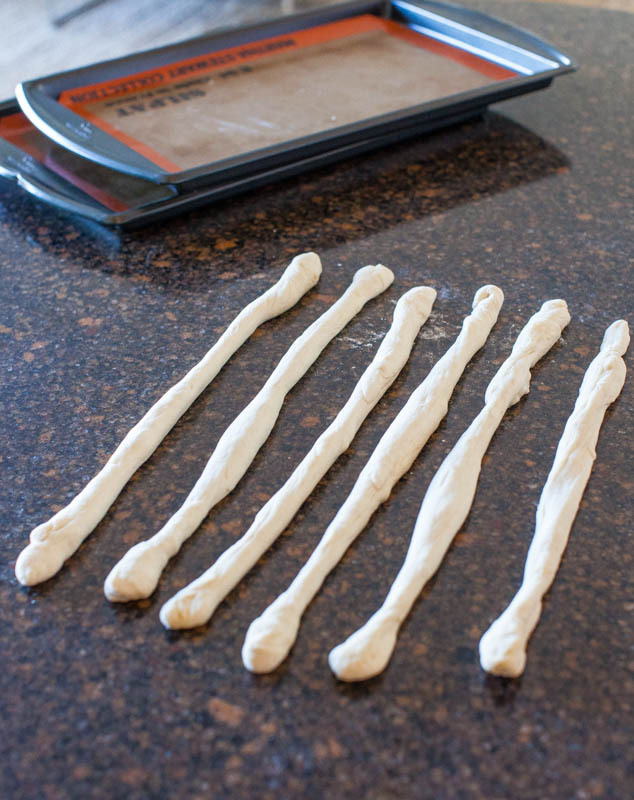 Place the dough on a floured work surface, and using a sharp knife or bench scraper, divide it into six equal pieces. Using your hands, roll each piece into a long rope, about 15 to 18-inches long. The skinnier you roll your ropes, the less chubby the finished pretzels will be, but they don’t have to be perfect. Some sections of my ropes are thinner, and some are thicker. It all tastes good. Because this dough hasn’t been rested after the rise, it’s springy and resilient and your ropes may want to recoil and shrink back down. Just keep finessing them back into an elongated state. Or wait ten minutes before rolling and shaping the ropes if you have time to spare. 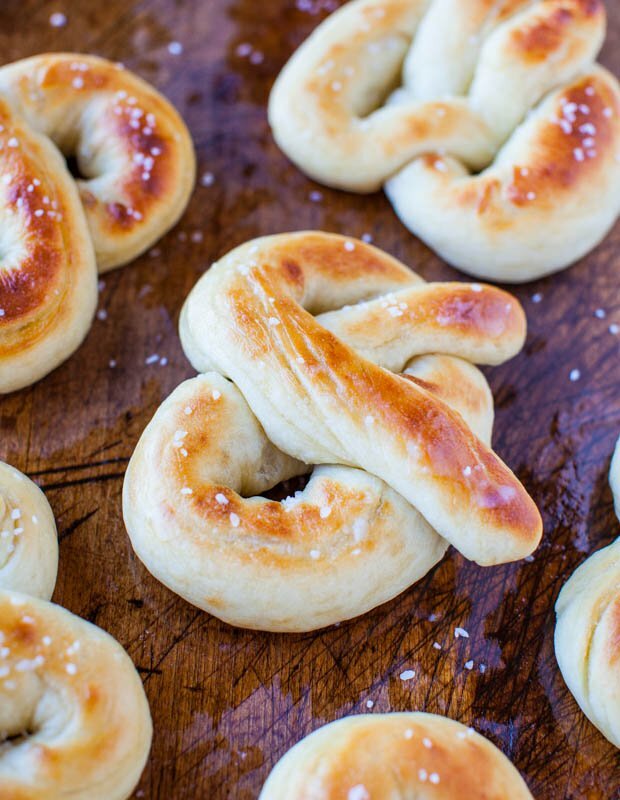 Just as there’s many ways to braid Challah, there are ways to complicate pretzel-shape making. I just think of a heart and make that shape with draped ends laid loosely on the opposite side. You can twist the center of the heart together like a twist tie, but it’s an 18-inch long piece of dough, not a little twist tie. The less I have to mess with it or do with it, the better. This is a one hour recipe and eliminating any non-essential steps is my strategy. Transfer your hearts to two Silpat-lined baking trays, three per tray. Melt the (vegan) butter in the microwave, about one minute, and brush half of it onto the pretzels. Save the other half for when the come out of the oven. It seems like a bit much as you’re brushing, but some of it is lost to the baking sheet, some of it gets stuck in the pastry brush, and if you’re lucky, the rest seeps into that white, spongy, soft dough. Bake them at 425F for about ten minutes, rotating trays once if your oven bakes unevenly. This is shorter in duration and cooler in oven temperature than many recipes. This is buttery, soft, white, fluffy dough and it burns so keep an eye on it. I don’t even leave the kitchen. After about ten minutes, I turn the broiler on, and broil one tray at a time for about ninety seconds each, up to two minutes. A matter of seconds can make the difference in golden and burnt, so broil at your own risk and with a very, very watchful eye. You can see in some of the photos where some ends are more browned than others and those differences happen in literally ten seconds. After they’re out of the oven, baste the pretzels with the remaining butter. After baking, optional twists for the twists include brushing them down with: garlic-butter, Honey Butter, Cinnamon-Sugar Butter, apple butter, pumpkin butter, you name it, brush it. I sprinkled Kosher salt, but try cinnamon-sugar, garlic and onion powder, chili and lime, very finely diced nuts, sesame and poppy seeds like an everything-bagel, or a fine dusting of cocoa powder. Serve them with or dip them in Spicy Honey Mustard,Homemade Peanut Butter, Homemade Cookie Butter Peanut Butter, Chocolate Coconut Cashew Butter, Nutella, Dark Rum Caramel Sauce, or Balsamic Reduction and olive oil. Between the types of flavored butters you can brush on, the items you can sprinkle on top, and combined with what you can dip them into, there’s a combination for everyone. 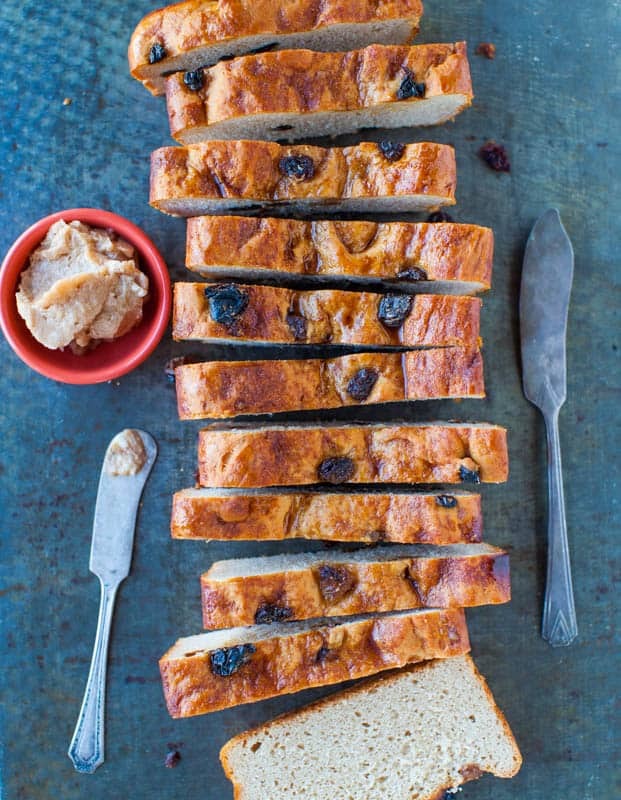 They can go either sweet or savory because the dough is a blank canvas. 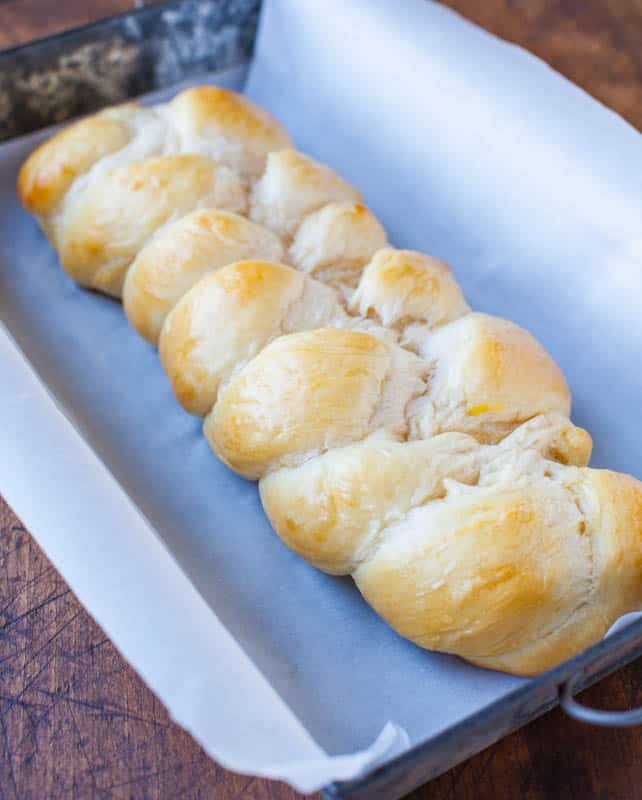 Just as my Honey Dinner Rolls will be my forever go-to recipe for dinner rolls, this will be the one for pretzels. Combing the most basic of ingredients; flour, water, yeast and a pinch of sugar and salt, and butter and creating something fabulous that’s ready an hour later is success in my book. 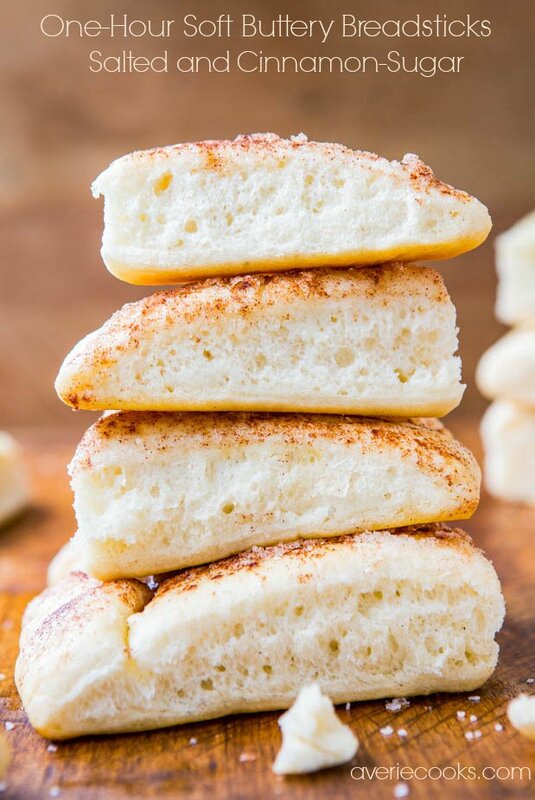 They’re light and fluffy without being airy. There’s density and plenty of chewiness, just like mall pretzels. The dough itself is moist and after being basted liberally with butter, both before and after baking, they’re so buttery, satisfying, and comforting. My cutting board has never been so well-moisturized from all that butter in all it’s life. The other bonus is that the whole batch cost less than three dollars to make, and that’s only because the yeast I use is more expensive than most, and accounts for two of the three dollars. The cost of the remaining ingredients is negligible. So take that four-dollars-each mall pretzels. I just made six for under three bucks in an hour. It’s dangerous that I can make these at home. These are like the soft, fluffy, buttery pretzels you can buy at the mall that you can smell a mile away. Now you don't need the mall for them; you just need one hour. 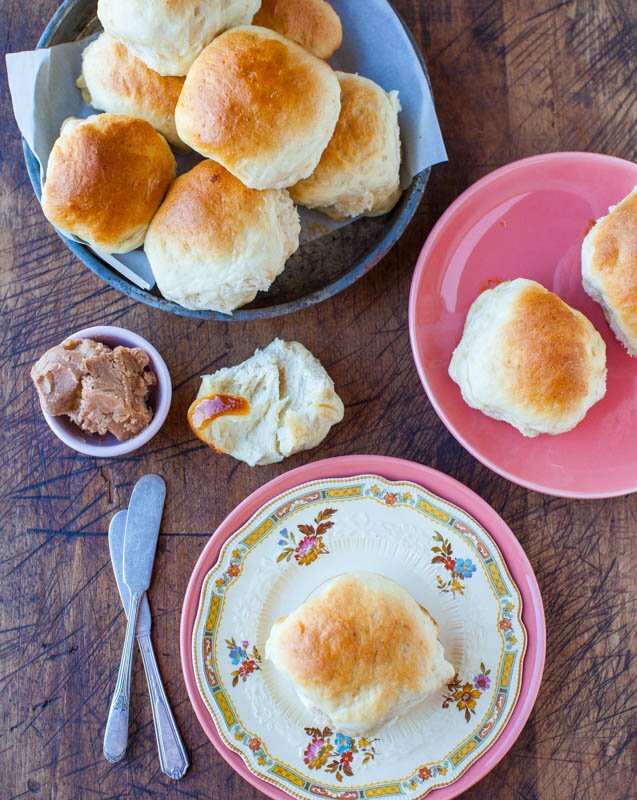 They're easy enough for the novice bread-maker because I removed all the complicated and fussy steps and pared this recipe down to the most basic elements, and also kept it vegan (use vegan buttery spreads or margarine). 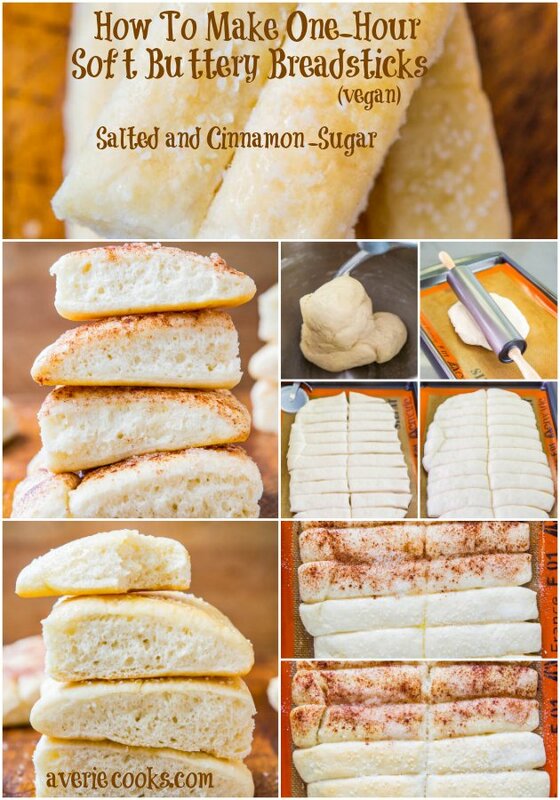 Dough is a blank canvas and can go sweet or savory; a variety of options are included below. Ready in an hour, buttery soft, and dangerously good. To the bowl of a stand mixer fitted with the paddle attachment, add the flour, yeast, sugar, optional ¼ teaspoon salt and turn mixer on and beat for couple sends to mix dry ingredients. Pour the water over the top (Based on the type of yeast used, temperatures will vary. Red Star Platinum yeast calls for warmer temperatures than most, 120 to 130F; other brands and yeast call for much lower temperatures, about 95 to 105F. Warm water according to the yeast manufacturer's recommendations on the packaging. Taking the temperature with a digital thermometer is recommended, but if you're not, make sure the water is warm, not hot. Err on the cooler rather than hotter side so you don't kill the yeast.) Beat the mixture on medium-low speed for about 1 minute, or until combined. After five minutes, remove the dough from the mixing bowl, spray mixing bowl or another bowl with cooking spray, and place the dough in the bowl. Cover with a piece of plasticwrap and place it in a warm, draft-free place to rise for 30 minutes. (I’ve let this dough rise for as long as 90 minutes due to distractions, poor planning, and timing issues, and nothing bad happens. Actually, the pretzels turn out fluffier. If you want to allow it to rise for up to about 90 minutes, or doubled in size, that's fine. But the recipe does and will work with just a 30 minute rise) In the final moments of rising, preheat oven to 425F and line two baking trays with Silpat Non-Stick Baking Mats or parchment paper; set aside. After 30 minutes (or longer), punch dough down and place it on a floured work surface. Using a sharp knife or bench scraper, divide it into six equal pieces. Using your hands, roll each piece into a long rope, about 15 to 18-inches long. The skinnier you roll the ropes, the less chubby the finished pretzels will be. Make a pretzel shape with the rope. Grab the ends and pretend you’re making a heart-shape with it. 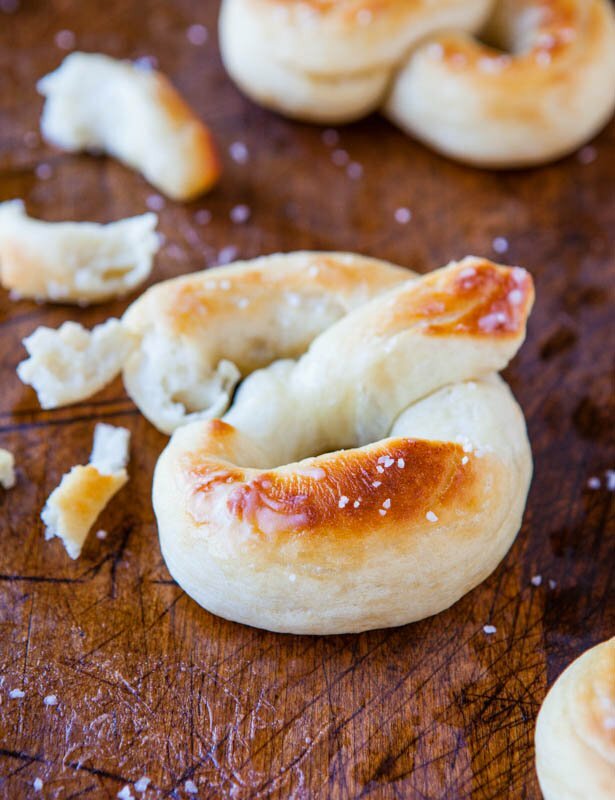 Lay ends on the opposite side and allow them to drape loosely; optionally twist the center of the pretzel like a twist-tie so there's a twist in the pretzel or shape them as desired. 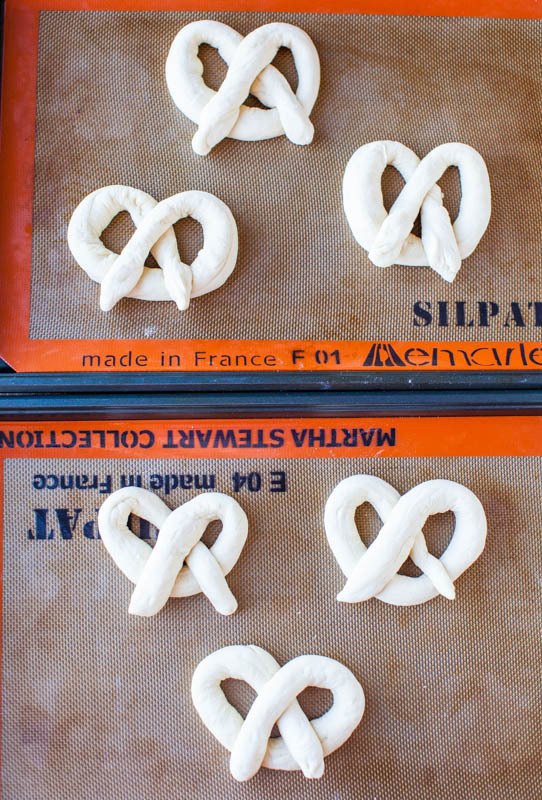 Transfer pretzels to two Silpat-lined baking trays, three per tray. Melt the butter in the microwave, about 1 minute (use unsalted or salted, regular or vegan, based on preference) and brush half of it onto the pretzels. Save the other half for after baking. Bake at 425F for about ten minutes, rotating trays once if your oven bakes unevenly (This is buttery, soft, white, fluffy dough and it burns easily so keep an eye on it and I don’t even leave the kitchen). For golden brown tops, turn the broiler on and broil one tray at a time for about 90 seconds each, or as desired. A matter of seconds can make the difference in golden and burnt, so broil at your own risk and with a very watchful eye. I bake for 10 minutes and broil for just shy of 2 minutes based on my oven and preferences. 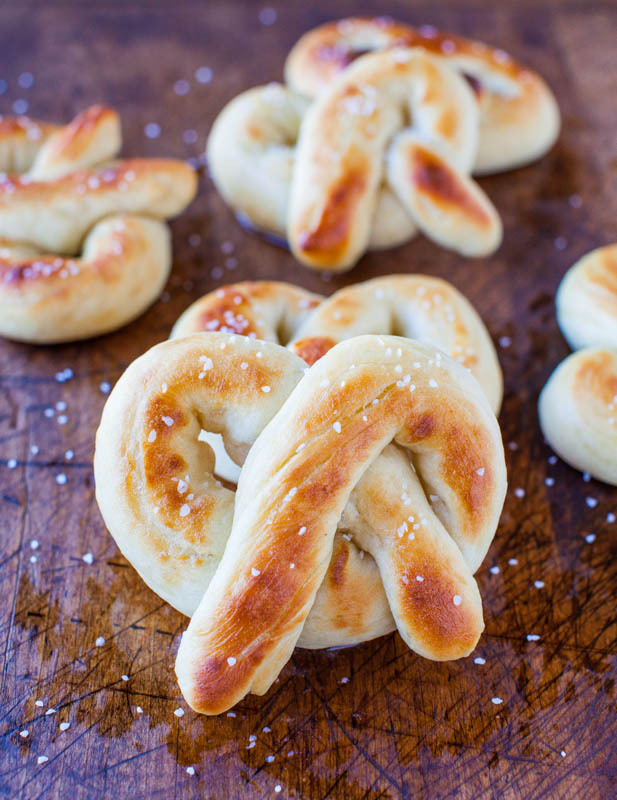 Baste pretzels with the remaining butter. Sprinkle with Kosher or coarse salt (or any of the basting, sprinkling or dipping options above) and serve immediately. Pretzels are best eaten fresh and warm, but will keep for up to 2 days in a ziptop plastic bag or airtight container. 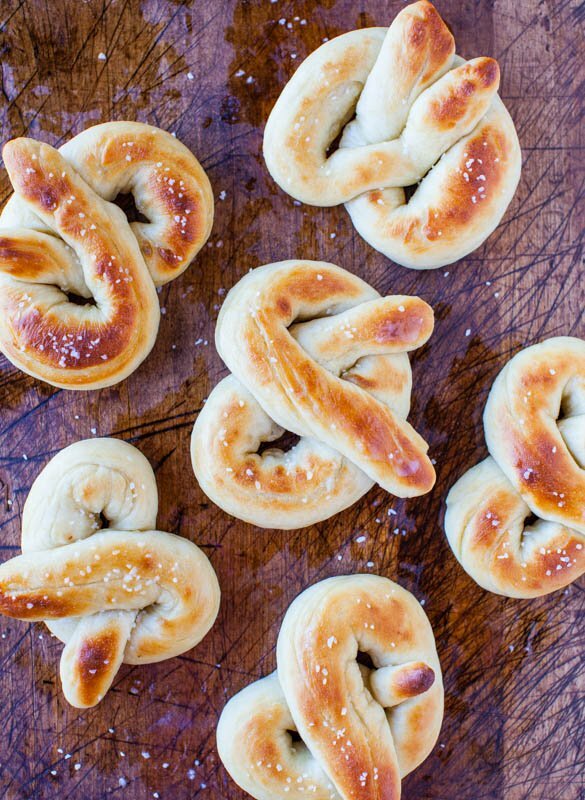 Do you like soft pretzels or ever tried to make your own? If you have favorite recipes, share your links and if you have favorite toppings and flavor combinations, tell me about them. I personally love cinnamon-sugar pretzels the most, and they’re easy to slather with honey-butter and cinnamon-sugar butter. 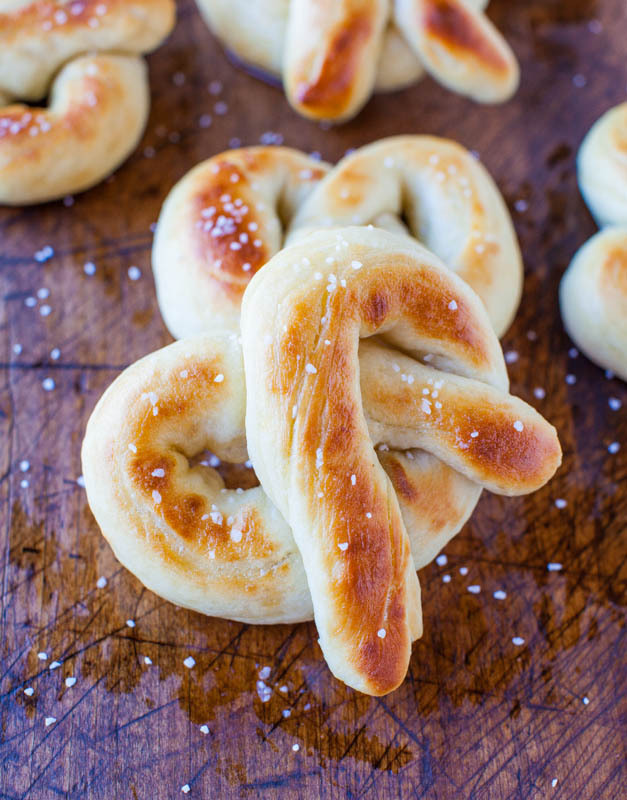 Scott loves salted, buttery pretzels and I really made these for him, but want to keep trying out new flavor combos now that I have a dough base and method that’s so easy. So delicious! Our first batch is out of the oven right now. We managed to make 8 smaller pretzels. They are delicious! I’m not sure if they taste 100% like pretzels but for an hour, these are remarkable good. Thank you so much! Our house smells wonderful and we are happily devouring the pretzels. Would I be able to freeze them and keep them longer? Yes in theory bread freezes pretty well however there is nothing like a freshly baked warm pretzel as I’m sure you know! LOVE THESE I made them last night. I did some salted ones and some cinnamon sugar ones. Gave some to my non vegan friends and they loved them!!!! Thanks for trying the recipe last night and I’m glad it came out great for you! I don’t have an electric mixer, would I still be able to make this? If so, are there any other steps I need to take to ensure it turns out proper? Thanks. 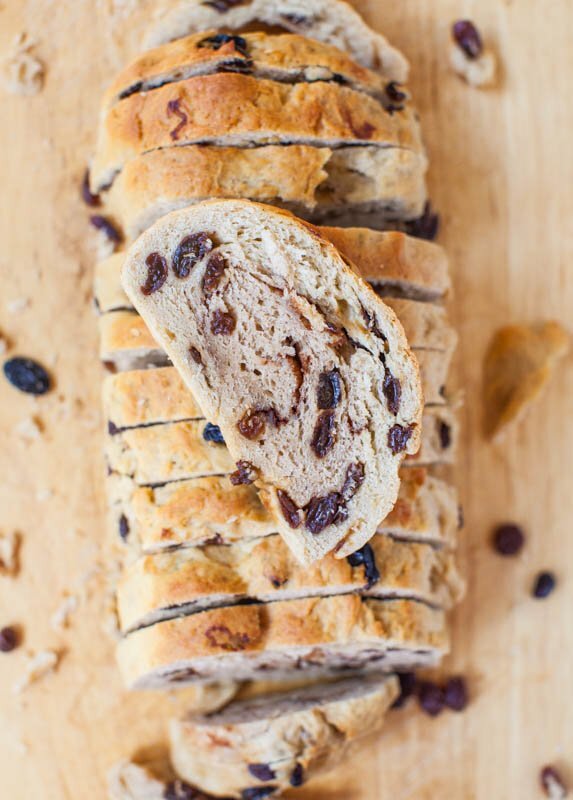 You will just get a major arm workout with the kneading but it’s certainly do-able. Enjoy! These are amazing! 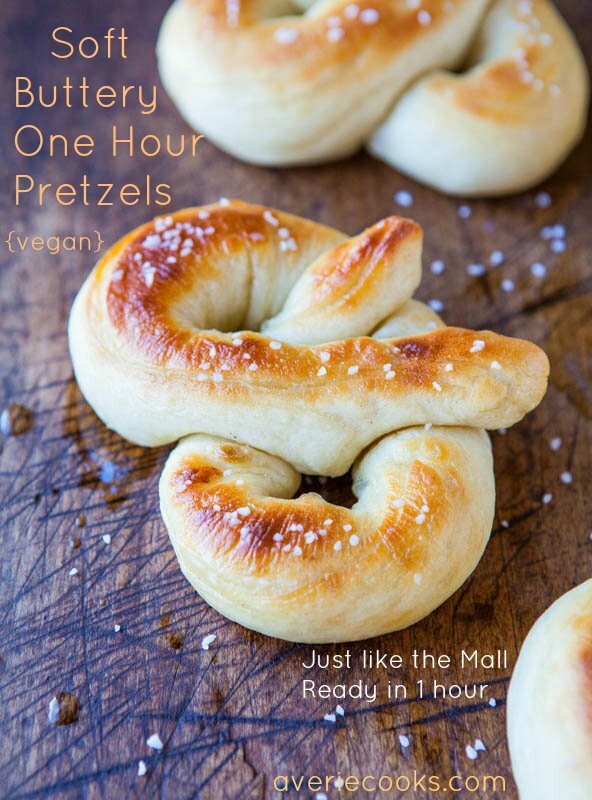 I found this recipe on Pinterest and after several failed soft pretzel recipes, my husband and I were skeptical, but hopeful. Definitely a keeper! Thanks so much for this!